The Forest Service added six weeks to its limited-entry permit season for the popular high-country lakes in Alpine Lakes Wilderness. If camping at The Enchantments is on your bucket list, getting to the fabled high-country lakes southwest of Leavenworth just got a little tougher. The U.S. Forest Service announced Monday it is extending by six weeks the season for required, limited-entry permits for overnight camping in this fragile zone of the Alpine Lakes Wilderness. The permit season, formerly June 15-Oct. 15, will now be May 15-Oct. 31. Seventy-five percent of permits will be allocated through a lottery, for which the application period is Feb. 15-March 2. The Enchantment Permit Area takes in rugged and rocky, mountain-goat-frequented escarpments around the Enchantment Lakes, the highest of which sit between 7,000 and 8,000 feet elevation, as well as areas surrounding nearby Colchuck Lake, Lake Stuart, Snow Lakes and Eightmile Lake. Throughout the permit area, demand for overnight permits far exceeds the number available. The Forest Service said the extension is needed to help manage increased visitor use and resulting resource damage at the lakes. The option to have a longer permit season was analyzed in the Alpine Lakes Wilderness Recreation Use Environmental Analysis in 1993 but had not been fully implemented until now. 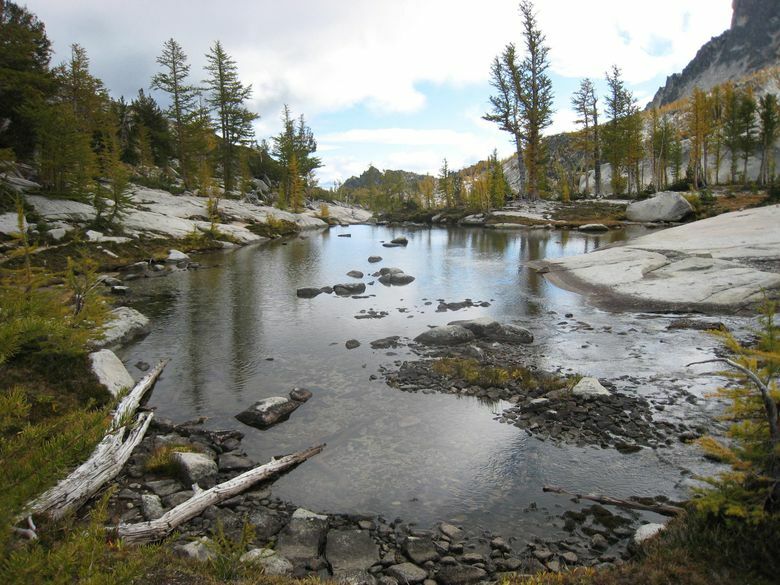 Increasing popularity of The Enchantments has led to concentrated and unsustainable overnight use before and after the permit season, frequently exceeding daily use levels established to minimize impacts from high recreation use, according to the Leavenworth-based Wenatchee River Ranger District. In addition, recent low-snow winters and hot, dry spring and fall seasons have resulted in a longer snow-free period, increasing accessibility into the Enchantment Permit Area and lengthening the high-use season. New campsites and trails can appear in a single weekend of high use, damaging fragile high-country vegetation, the Forest Service statement said. By 1981, the Alpine Lakes Wilderness Plan established carrying capacities for the Enchantments Permit Area. The permit system for overnight camping was enacted in 1987. The current system, with the permit area divided into five zones, allows up to five camping parties nightly with up to eight people each in the core Enchantment Lakes zone, said Gabrielle Snider, wilderness manager for the ranger district. The nightly total for all the lakes in the permit area is 28 groups of up to eight each, for a maximum of 224 campers. Overnight reservations for the area are made through www.recreation.gov (type in “Enchantment Permit Area”). The website will accept lottery applications for the 2016 permit season beginning at 12:01 a.m. Feb. 15. Early application does not increase chances of getting a permit, as long as application is made by 11:59 p.m. March 2. There is a $6 fee for lottery applications, plus a $5/person-per-day fee for camping permits. A number of day-of-hike permits are distributed in morning drawings at the Leavenworth ranger station throughout the permit season. For details on the process, see 1.usa.gov/1e7YQpV.